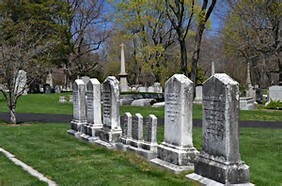 Many members of the Y generation and Mellennials [born 1977 to 1995] say they do not want to be viewed in a casket after they leave this world. They think caskets, viewings, funerals and people getting together when they are grieving is distasteful to them and not their expression of sympathy. They also feel that attending a ‘gathering’ or ‘luncheon’ afterwards is like ‘having a party’ and is not something they want any part of for themselves. They don’t want anyone to see them laid out – and they don’t want to have a lot of folks around them if they lose a loved one and are sorrowful – they want to just go home – and be alone with their loss/grief. As I was growng up, I used to dread wakes, and the traditions surrounding them. As I got older, I realized the need for the grieving family and loved ones to process the loss they were going through. Attending the services is an expression of respect for the deceased and their loved ones. Some people die unexpectedly and the wake is the reality that the loss did happen. When a wake is not attended, there could be a thought or denial that it did not happen, ie, ‘I did not see it therefore I can’t believe it’. Wakes, viewings, and services are a part of life for many Generation X members [(born 1965 to 1979] and Baby Boomers [born 1946 to 1964] and Traditionalists or Silent Generation born 1945 or before. The bereaved need the comfort of family, friends and acquaintances during this most grieving time. As difficult and tearful as it is, it gives the bereaved an opportunity to give needed expression to release the grief that most of us feel at these times in order to heal and accept their loss. it is your presence that will be remembered and not your words. Acts of comforting via touch, hugs, or listening help heal the loss feelings – which could be overwhelming into a depression if they are not expressed – and your presence may foster acceptance and healing. In today’s culture, wake or viewing times have been shortened to sometimes to just one day [it used to be 3 days followed by the funeral the next day [or fourth day]. It may be a drain on a family who may have not slept in days or experience long travel times or accommodations for out-of-time relatives. There are closed caskets, cremations and different memorials for the deceased. Wakes are a part of a person’s life just as baptisms or weddings are. Attending Services are acts of respect for the deceased and their loved ones. Sometimes there are quips and laughter in remembrances of the deceased and is not meant disrespectfully but in remembering and cherishing memories of him or her. There are lunches after the cemetery or interment….It’s closure. It is better to be with people who knew and loved the person who died than to go home right after the cemetery – alone with a heavy heart. It reconnects people who have lost touch. Shared grief will share the loss for all. Wake viewings and funerals serve this purpose. If you are a faith person, the viewing and church services are a celebration of a new life in eternity with God. Many churches focus on this positive affirmation instead of the negative of loss. If you believe in the resurrection of the dead, then the wake is a celebration of their life here on earth and the new life they are entering.